Join 50,000 people. Get our latest news & releases delivered to your inbox. Reel 2.0 Released: Beaver Builder integration, Vimeo video support & more! 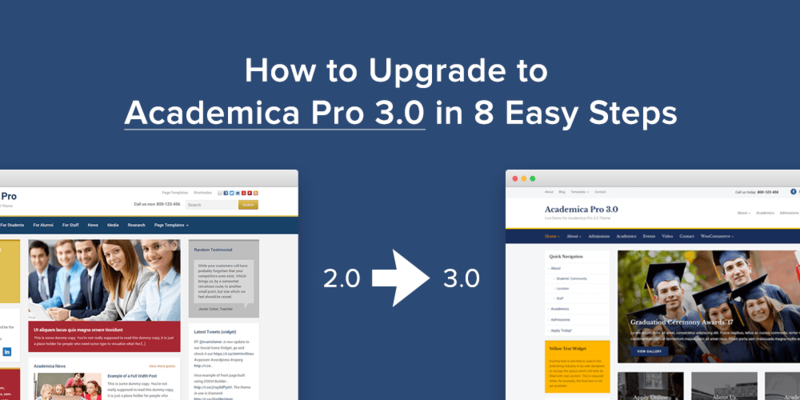 Academica Pro 3.0 was released just a few days ago, and if you’re thinking to upgrade from an older version, then you should read this tutorial until the end to make the process as easy as possible. 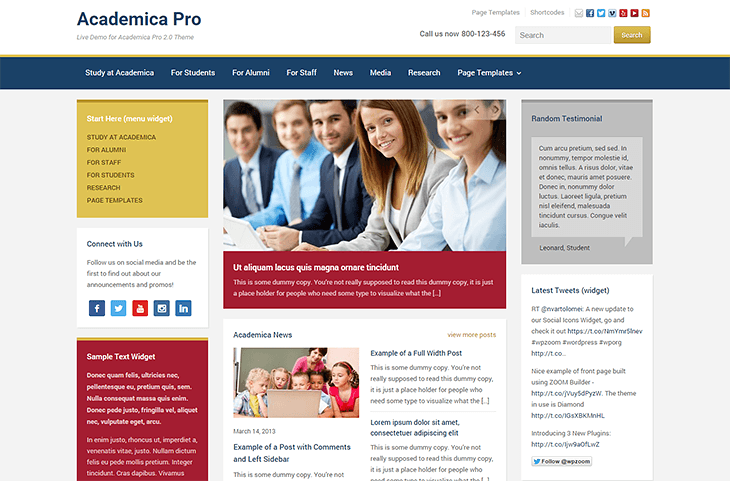 Unlike previous updates, Academica Pro 3.0 is a separate & new theme which can be installed without affecting your old theme, because the new version has a different folder name and it will not replace or delete previous versions. 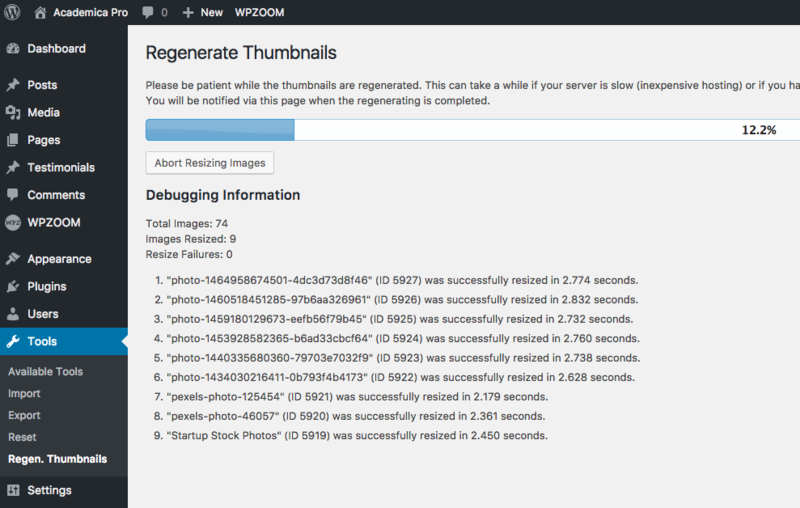 In order to make sure that all images look fine in different locations in the theme, like the slideshow or widgets, it’s recommended to regenerate all images from your site. Detailed instructions can be found in this tutorial. While existing menus from the header and widgets will not be affected, it’s worth checking the Menus page and see if everything is configured properly. The new 3.0 version allows you to create and display a different menu on mobile devices as your main menu. We’ve created a new menu location called Mobile Menu, and once a menu will be assigned to it, it will appear under the hamburger menu on mobile devices. If no menu will be assigned in the Mobile Menu location, then your Main menu will appear on mobile devices automatically. Why should I use a separate menu for Mobile Devices? This feature is useful when you want to hide all menus on mobile devices and keep only the hamburger menu. 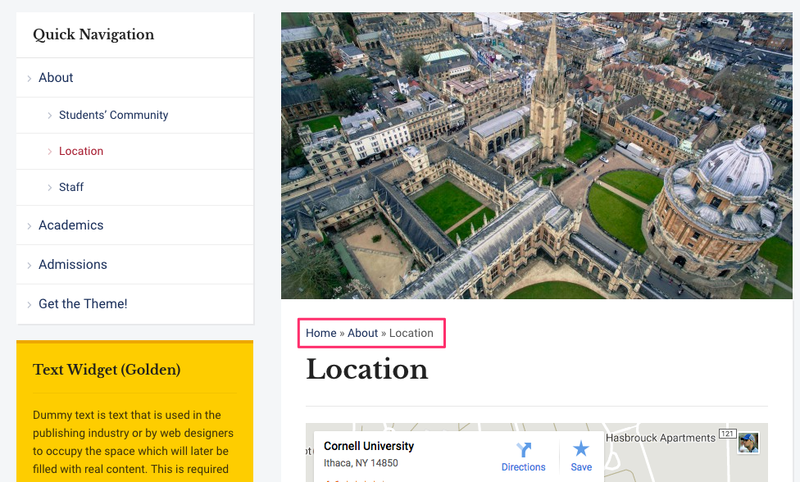 In this way you can create a separate menu from your Main Menu and combine in it links from other menus that are not visible, or keep it with only a few menu links that should be enough for visitors from mobile devices. The Social Icons in the header now are added using our free & powerful Social Icons Widget. 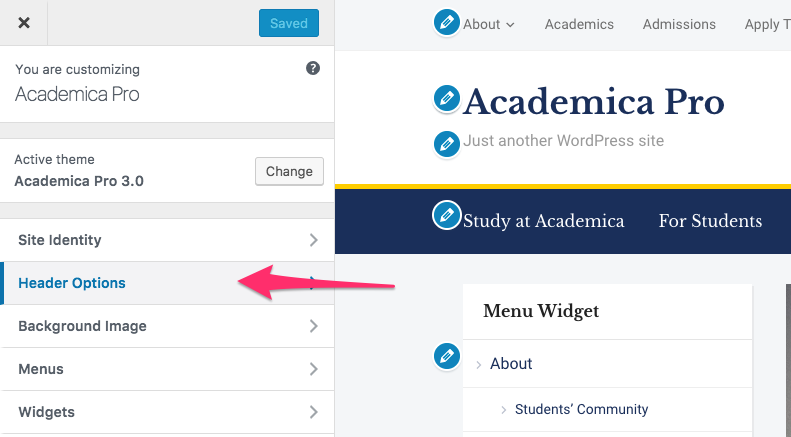 Default homepage template shows the slider above the middle and right sidebar, but this can be changed quickly by creating a new static page and set it as your Front Page. Detailed instructions can be found in the Documentation. 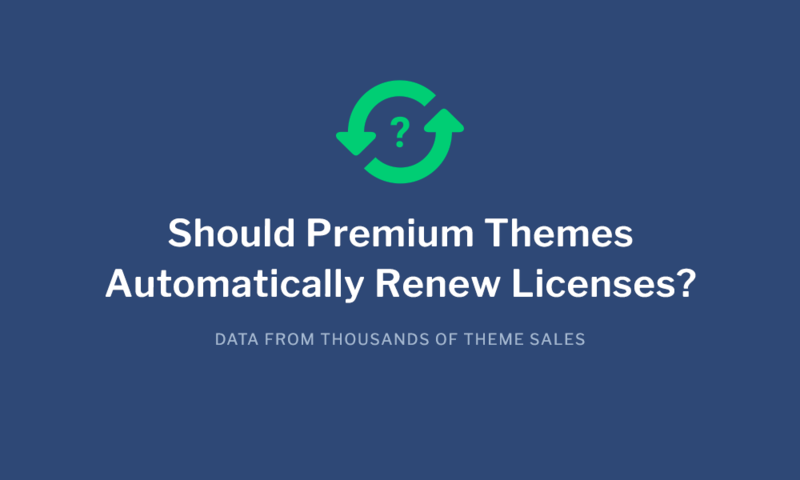 If you’ve previously had a custom logo image uploaded in the header, you’ll probably have to re-upload it from the Theme Customizer > Site Identity, because WordPress thinks that this is a different theme (due to the different folder name). In order to display Breadcrumbs in all pages, install and activate the Yoast SEO plugin. 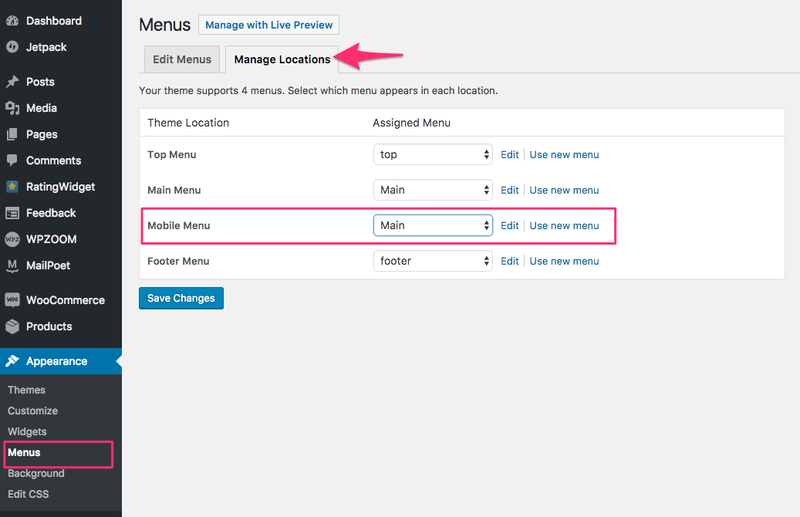 From plugin settings > Features tab, enable Advanced settings page. 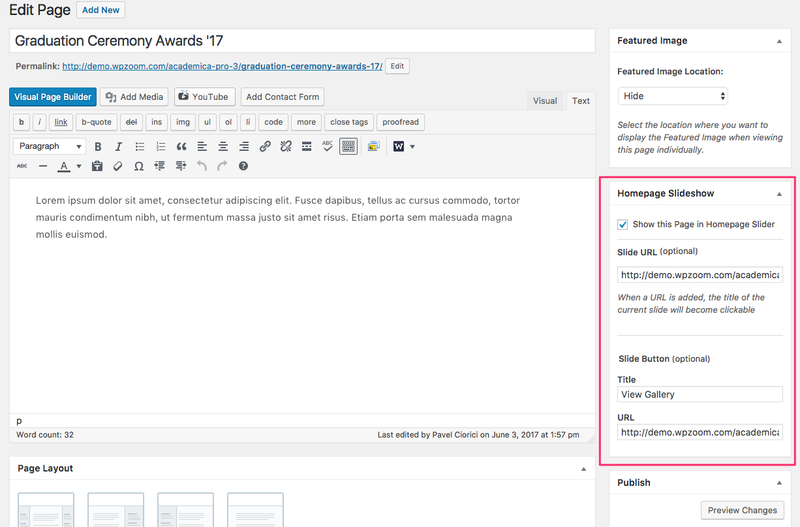 After that you’ll be able to enable the Breadcrumbs feature from the Advanced menu. Once you’ve completed all the steps described above, we recommend you to take a look at the theme documentation and find other useful instructions to get the most of your new theme. 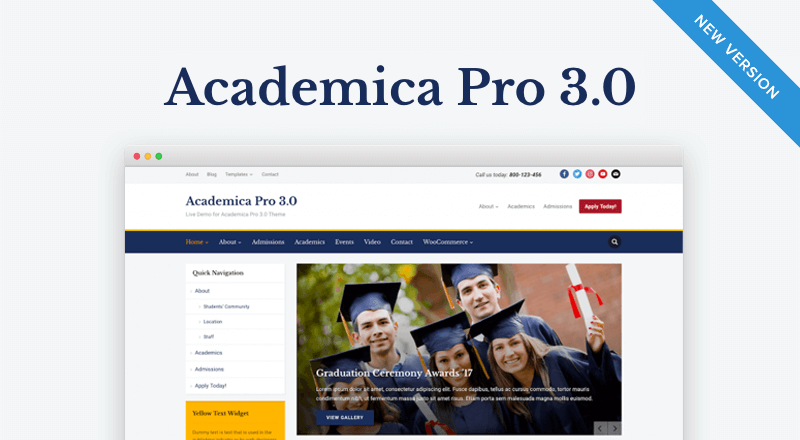 For more details about Academica Pro 3.0 check out the live demo and then consider purchasing Academica Pro 3.0 for your website. Subscribe to the WPZOOM newsletter. I'm the founder of WPZOOM. I am from Chisinau, Moldova and I love to design functional WordPress themes. Hi Pavel Ciorici , I would like to saw thanks. 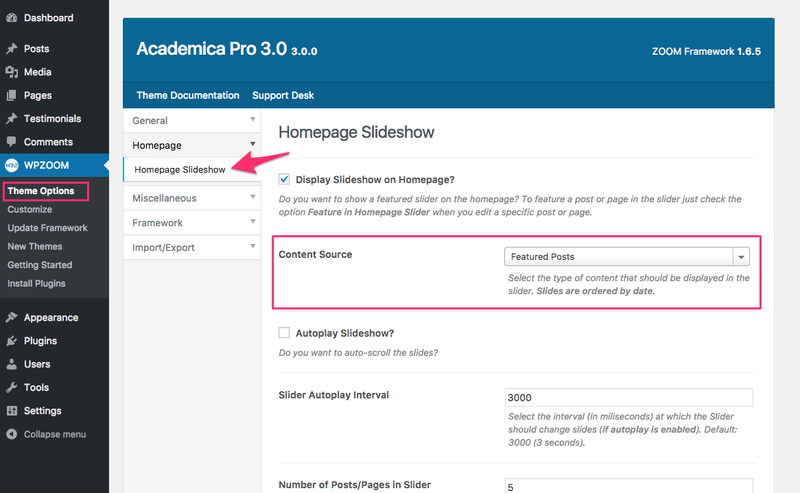 You really write very easy way to Upgrade to Academica Pro 3.0. Now I can Upgrade easily.